Click on a tumbler to see a list of available parts. The 3A rock tumbler belt is one of the easiest and most commonly replaced parts on the tumbler. 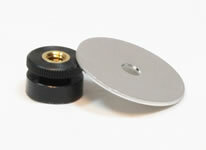 A replacement belt for Lortone's Model 33B or 45C rock tumblers. To replace the belt on these tumblers all you need is a phillips head screwdriver to open the case. Once the case is off roll the worn out belt off the pulleys and replace it with a new belt. Then close up the case and you're done. Set of four Model 3A Lortone bearings that are easy to replace. You will need two tools: a phillips head screw driver and a small allen wrench. The allen wrench is to remove the drive pulley. This set of four bearings will work on Lortone 33B and 45C rock tumblers. Easy to replace: remove the belt, remove the retaining clip from the end of the shaft, pull the shaft out, remove the old bearing and replace it with the new bearing and reassemble. Repeat these steps for each bearing. This set of four Lortone bearings are easy to replace. If you currently don't need to replace all of the bearings then hold on to the extra bearings for use in the future. 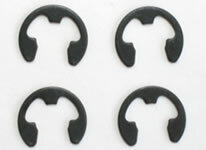 A set of four rubber feet. These feet will work on Lortone models: 3-1.5, 3A, 33B, 45C, QT6, QT66 and QT12. 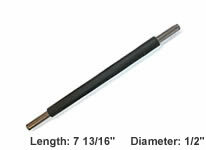 This Lortone Model 3A drive shaft includes the one required retainer clip. This replacement drive shaft does NOT include the pulley. You will have to remove the pulley from you old shaft and place it on the new shaft. The 3A's idler shaft a very simple piece to replace. Remove the old one and put the new one in, reusing the old bearings. If the old bearings are worn out, new ones can be purchases above. 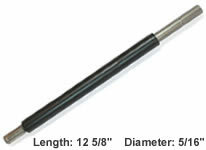 This drive shaft is designed for Lortone's model 33B rock tumbler. The retainer clips are not included with the drive shaft. New retainer clips can be purchased below. 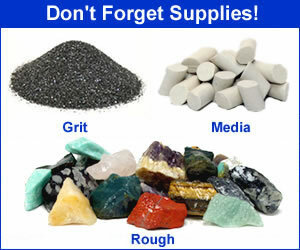 Designed for the Lortone 33B rock tumbler. Idler shaft comes with the rubber on it. Retainer clips are NOT included but you can purchase new ones below. The 45C drive shaft includes the rubber sleeve but NOT the retainer clips or pulley. If you can not reuse your old clips, you can purchase new ones below. Designed for the Lortone 45C rock tumbler. Idler shaft comes with the rubber on it. Retainer clips are NOT included but you can purchase new ones below. This drive shaft for Lortone's QT6 rock tumbler comes with the rubber on it. Retainer clips are NOT included. If you can't reuse your old retainer clips new ones can be purchased below. 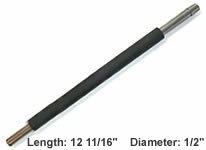 The QT6 idler shaft is supplied with the rubber sleeve on it. Retainer clips are NOT included. If new retainer clips are needed they can be purchased below. 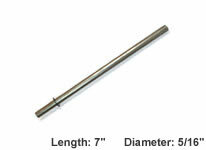 The QT66 and QT12 drive shaft comes with the rubber sleeve on it. Retainer clips are NOT included. You can purchase new ones below if the old ones are unusable. The QT66 and QT12 idler shaft includes the rubber sleeve but new retainer clips are NOT included. If the old clips are damaged or unusable, new ones can be purchased below. Set of four retainer clips for use on Lortone models 3A, 33B and 45C rotary rock tumbler shafts. 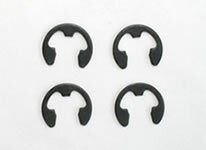 Set of four retainer clips for use on Lortone models QT6, QT66 and QT12 rotary rock tumbler shafts. This barrel guide comes with all of the hardware needed to replace the old one. This barrel guide comes with all the hardware needed to replace the old one. It fits the Lortone model QT6, QT66 and QT12 rock tumblers. This is the knurled nut used to tighten the lid on Lortone hobbyist tumbler barrels. Fits all Lortone rock tumbler barrels that we sell. Does NOT fit Tumble-Bee barrel lids. This is the rubber cover that goes over the metal lid on Lortone 3-pound and 1.5-pound tumbler barrels. Not designed for Tumble-Bee barrels. The inner metal lid with a threaded stud for Lortone's 3lb and 1.5lb barrels. Fits the barrels on Lortone Model 3A and 33B tumblers. 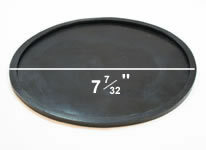 This is the outer metal lid for Lortone 3-pound and 1.5-pound tumbler barrels. Fits the barrels on Lortone Model 3A and 33B tumblers. 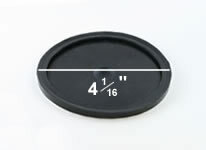 This is the rubber cover that goes over the metal lid on Lortone 4.5-pound tumbler barrel. Fits the barrels on Lortone Model 45C tumbler. 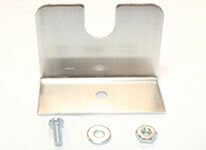 This is the inner metal lid with threaded stud for Lortone's Model 45C 4.5-pound tumbler barrel. 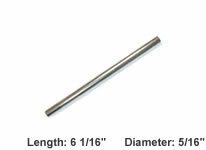 This is the outer metal lid for the 4.5-pound barrel on a Lortone 45C rock tumbler. This is the rubber cover that goes over the metal lid on Lortone 6-pound and 12-pound tumbler barrels. Fits the barrels on Lortone Model QT6, QT66 and QT12 tumblers. 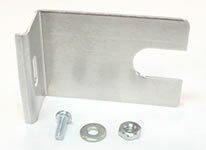 This is the inner metal lid with threaded stud for Lortone 6-pound and 12-pound tumbler barrels. Fits the barrels on Lortone Model QT6, QT66 and QT12 tumblers. This is metal outer lid completes the watertight seal on Lortone's 6-pound and 12-pound rock tumbler barrels. This is a three-pound capacity replacement barrel to fit the Lortone Model 3A and Lortone Model 33B rock tumblers. It includes the rubber barrel, two-part metal lid, rubber lid liner, washer and plastic knob. TIP: For best results tumble your polish step in a dedicated barrel to reduce the possibility of grit contamination. Outside height does NOT include 5/8 inch for the nut and washer. This barrel fits the Lortone Model 45C rock tumbler. This 4.5-pound capacity barrel includes the soft rubber barrel, two-piece metal lid, rubber lid liner, washer and plastic knob. TIP: Get an extra barrel and dedicate it to the polishing step. This significantly reduces the possibility of grit contamination. A complete 6-pound barrel designed for Lortone Model QT-6 and QT-66 tumblers but will also work on a QT-12 base. It is a soft rubber barrel with all the components to start using it. TIP: Get an extra barrel and dedicate it to the polishing step. This significantly reduces the possibility of grit contamination. This is a large 12-pound capacity barrel to fit the Lortone Model QT12 rock tumbler. 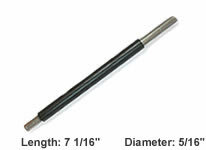 This QT-12 barrel will also work on a QT-66 base. It includes the soft rubber barrel, two-piece metal lid, rubber lid liner, washer and plastic knob.